Description: A free customizable outline company org chart template is provided to download and print. 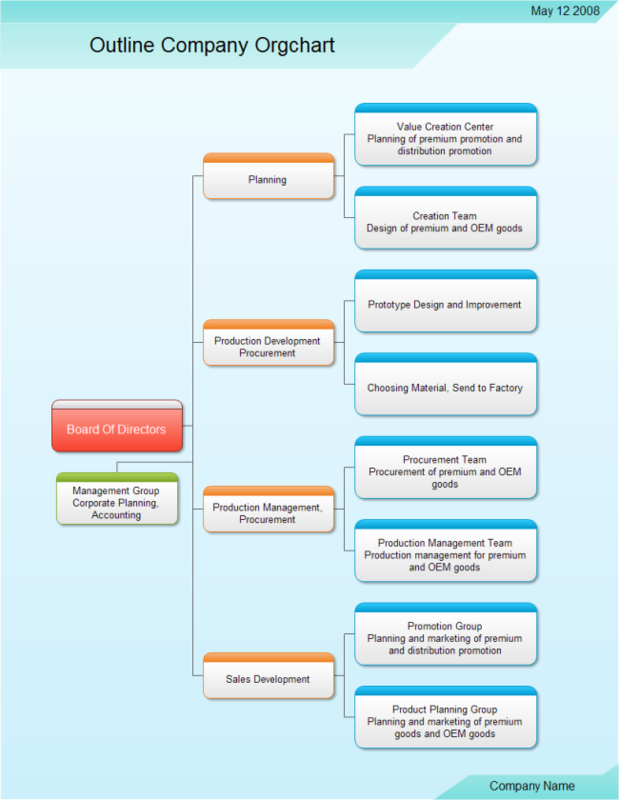 Quickly get a head-start when creating your own outline company org chart. With this specific template, you can save more time with the general information typed in.